Anne E. Johnson, based in Brooklyn, is the author of noir sci fi novel series The Webrid Chronicles (GREEN LIGHT DELIVERY, BLUE DIAMOND DELIVERY, and RED SPAWN DELIVERY) from Candlemark and Gleam, YA science fiction adventure SPACE SURFERS, middle grade historical novel FRANNI AND THE DUKE, the middle grade story book series THINGS FROM OTHER WORLDS, and many other books and stories. She also writes music and arts journalism. Learn more on her website, AnneEJohnson.com. In March I had the pleasure of being a guest author at Cleveland ConCoction. On the last day of the con, as I sat in the book room, I started a conversation with my neighbor. J.L. Gribble was selling her novel Steel Victory, the first in her Steel Empires series for Dog Star Books. She kindly agreed to stop by Jester Harley's Manuscript Page to tell us her outlining secrets. Listen up! Though I didn’t write my debut novel, Steel Victory, with the intention of turning it into a series, I jumped at the chance to do so at the invitation of my publisher. Unfortunately, that means actually writing the series! After a brief moment of panic, I got into the swing of things and committed to publishing a novel a year for what is now known as the Steel Empire series. 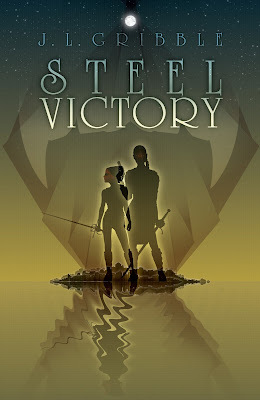 While Steel Victory was published in summer of 2015, and its sequel, Steel Magic, is set to be released this upcoming July, I’ve also already completed a full draft of book 3 and a full scene-by-scene outline of book 4. Writing a book is pretty much, well, writing a book, but one part of the process I’ve managed to do completely differently every single time is the outline stage. Two terms often used for writers are those who are “plotters” (who have the entire story down before they begin the first draft) and “pantsers” (who make everything up as they go along). Time to do some compare and contrast! 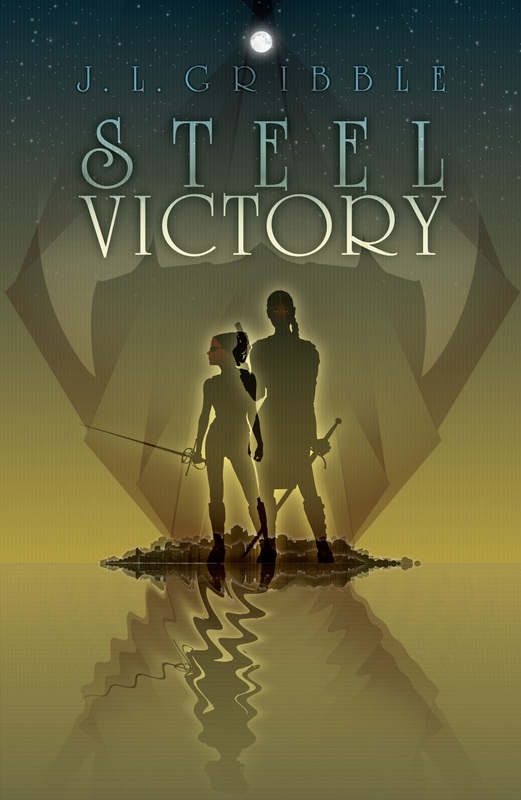 Steel Victory was written during the course of a two-year graduate program. I knew what sort of book I wanted to write—urban fantasy, alternate history, nontraditional vampires, strong family bonds—but the actual plot was a different matter. I knew where I was going a few scenes in advance, but once I wrote those few scenes, it was back to square one until I came up with what happened next. This is pretty much the definition of pantsing. It is very easy to switch directions using this method because you’re not locked into anything if genius strikes while you’re out for a walk or driving somewhere. Or in my case, in the shower. I had a ton of clean-up work to do on the book afterward. Some scenes needed to be restructured and I ended up cutting over 10k words from the final version because a few more scenes were ultimately useless because I hadn’t quite nailed down where I was going at that point. Because I was on more of a time crunch to draft and revise my second novel (one year versus two), I knew that I needed to find a better method. For Steel Magic, I started with a full road map (the plotter method). Before I wrote one word of the novel, I had almost 5k words of a detailed outline. I knew what was going to happen in every scene, down to the locations and minor characters involved. There was never a break in the action. This was especially helpful during NaNoWriMo (National Novel Writing Month), when I wrote a full 50k words of the novel in 30 days. I never had to sit back and wonder what was going to happen next. Sometimes I did come up with a few tweaks or a better way to handle the story, and when that happened, I had to go back to my outline and make sure I wasn’t going to write myself into a corner or cause any major plot holes down the line. With another book to write in a single year, I knew I had to stay with the full plotting method. This book I switched it up once again, because I had set myself the goal of a traditional Romeo & Juliet plot (with bonus feminism) set in my world, with my characters. So my scene-by-scene outline was a direct scene-by-scene retelling of Shakespeare’s play. As a former English major, this was both a challenge and a blast. Because I was basing my story on such a classic tale, I had a blast figuring out my twist on it. It’s not that most of the work was done for me, especially considering my version has a few more epic battles between weredragons and vampires, but having a solid jumping off point certainly made things a bit easier. Outlining book 4 using the Three Act Structure template. The narrative structure of a stage play written hundreds of years ago is a tad different from a popular fiction novel of today. I have many more major revisions still in progress for this book based on some critiques from beta readers, in which some scenes need more conflict and at least one needs to be cut completely. At a writing retreat a few months ago, I learned about another outline method called the Three Act Structure used in conjunction with lots of note cards. (For more information on Three Act Structure, click here.) I decided to use this one for my latest book, which involved figuring out all of the major themes and plot points and then filling them out into individual scenes. For me, this involved lots of colorful post-it notes and poster board in for office for my cats to knock over. The template provides a great list of things that should be included in a novel, like character goals and the dark moment before the act. This was a helpful guide for really digging into the meat of the story I was trying to tell. I ended up with a lot of major events and nothing in between. Figuring out the smaller conflicts while maintaining a good pace was more difficult than I expected it to be. This is probably where you expect me to tell you what the best method is, right? Absolutely not. One of my favorite things about the art of writing is that there is no one, true way. Through trial and error, I’ve learned which way works the best for me. The book 2 method: organically outlining in chronological order, by the way. Since I’m not planning anymore rewrites of long-dead playwrights, I think I’ll stick with this for the rest of the series. And to be honest, when I read other novels, I can almost never tell what sort of method the author started out with anyway! The last few years have been an adventure, but now that I’ve found what works for me, I can’t wait to jump into future projects. After I actually write book 4, of course. Learn more about J.L. Gribble on her website, Facebook, and on Twitter/Instagram @hannaedits. Purchase Steel Victory on Amazon.